Yoda Soccer Game - Download and Play Free Version! Select Your Team, Opponent, Field and Weather, then Play Soccer Your Way! 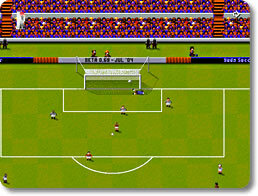 Soccer lends itself well to the video game medium. It’s challenging, fast-paced and relies on a great degree of strategy. However, a lot of soccer games these days place a lot of emphasis on team management. There’s nothing wrong with that, but sometimes it’s better to just pick up a game and play a quick match without the need to flip through so many menus. That’s where Yoda Soccer comes in. 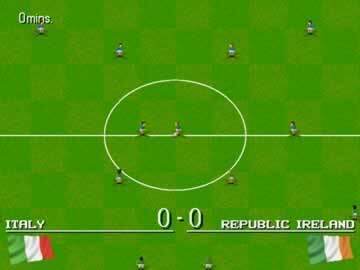 Harkening back to the classic Sensible World of Soccer, it offers a highly customizable old-school soccer simulator that’s easy to learn and hard to master. Yoda Soccer is appropriately fast-paced. If you want to succeed, you’ll need to learn how to properly coordinate your team, think fast, and weave around the opposition. Play against the computer or bring a buddy along for some friendly competition. Take control of every single member of your team. With the click of a few keys, you can move every player and kick every ball with whatever force you need. Select and edit different tactics and formations for your players in between matches. Watch instant replays of the action every time someone scores a goal. Just like in the real world, there are a lot of different kinds of soccer games and tournaments to play. Yoda Soccer not only provides you all the competitions your heart desires, but it also lets you edit them extensively to create your own if you so choose. Play in the big leagues, enter all the specific championships, or compete for the World Cup. Edit the existing teams and competitions or create your very own! Determine how many months the leagues will last, how the rules work every round, how large your bench sizes will be, and more! If you elect to play a friendly exhibition game, you have even more control over how play may proceed. Play games during the daylight hours or at night. Set the weather for your game. Have it be clear and sunny, slightly cloudy, rainy or foggy. Determine the status of the field. It can be dry, frozen, wet, muddy and more. Set the tactics for the AI players and learn how to counteract them. If you were a fan of Sensible World of Soccer or just happen to have a liking for the old soccer games of yore, then consider giving Yoda Soccer a go. It’s completely free and receives regular updates to make it a far more complete package. Better yet, the code is completely open-source; if you’re an aspiring modder, then you’re absolutely free dig in and edit the game any way you see fit.